What Exactly is Behind Zinke’s Speech on Offshore Wind Energy? Just a week ago, Interior secretary Ryan Zinke lead to the explosion of a number of heads when he made known to a collection of stakeholders in the wind industry that his agency is willing, able and ready to assist in peppering the coastal areas of America using wind turbines. Perhaps this is one weird dream in which he is a great fan of fossil and mineral energy development repents of his evil ways and seeks an all-new way of life as a genuine advocate of renewable sources of energy? Well, maybe you need to awake, you are probably dreaming. Besides the issue of fossil fuel, race issues as well as some other issues of concern, just a week ago, Zinke was attacked as a result of the fact that he basically broke the Hatch Act. However, Zinke did present a good case for American offshore wind farms a week ago, hence, what exactly is going on? 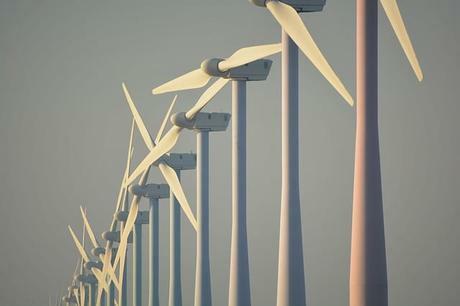 This forum will gather well over 130 enterprises at a conference for offshore wind. People who attend will be able to interact with the leading experts in the industry hence coming up with new innovations and opportunities while also strengthening the American offshore wind energy supply and also give direction to the industry. It is said that Zinke said that energy from wind was an integral component of Donald Trump’s desire for a greater level of independence as far as energy is concerned, making it known that it was the best thing to do as against hunting for resources in regions that are ridden with conflict. He basically described the offshore wind industry as a platform with great potentials. Furthermore, his speech also contained the announcement of a call for nominations and information from organizations with interest in areas of wind energy potential for Long Island’s South Shore. With respect to Zinke’s not too distant history as regards the development of fossil energy on public land, there is quite a lot to think upon in this regard. This is perhaps what is going on. Zinke desires to retain his job in the Donald Trump administration and also desires to retain his job after Trump must have left office. However, it is becoming quite difficult to attain owing to the fact that a reasonable number of Trump’s cabinet has been relieved of their jobs. On the positive side for Zinke, there is already a working template to follow for him. Secretary of energy Rick Perry appears to have made perfect the art of propagating the idea of fossil energy down talking climate change and being quite enthusiastic about the cleantech and science initiatives of his agency. It, therefore, suffices to say that he has retained his job and has also retained some bit of his professional credibility. A bight is basically a recession of the coastline. However, you may need to make use of an Atlantic Coast map and you will discover that the ocean tends to turn at a corner in New York City and goes on to Long Island after it must have gone up the coast of New Jersey and that is the New York Bight. The total area being considered for lease includes 2,047 square nautical miles which are further subdivided into about four of the “Call” areas which are designated as Fairways South, Hudson South, Fairways North, and Hudson North. The announcement in New York appeared to have caught the attention of the media; however, even of greater interest is the second announcement which came with the caption “Trump Administration Proposes Sale for Wind Energy off the Coast of Massachusetts. What simply happened was that BOEM just picked up the announcement of wind energy and simply dropped it upon the lap of administration of Donald Trump. This reminds one of the numbers of time president Trump actually made fun of wind energy during the 2016 campaign season. Meanwhile, only some days back, the Houston Chronicles came up with a report that Donald Trump will instruct Perry to make a declaration of an emergency measure with a view to ensuring that some money-losing nuclear and coal power plants in America from shutting. It appears to be seen if that directive will be followed.